This is another one of my "go-to" weeknight meals. Easy, fast, yummy. 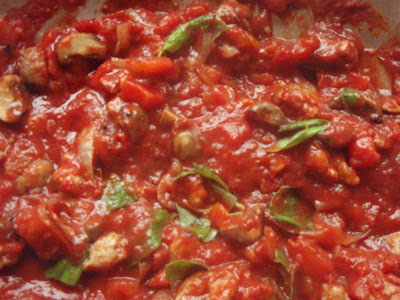 You can serve this over polenta, that would be lovely. 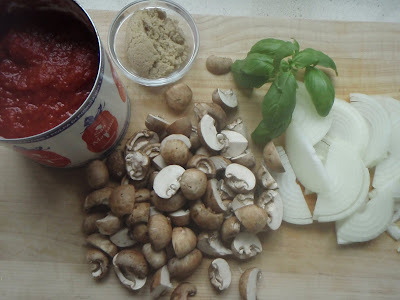 Most of the time I mix the entire pot of sauce with a pound of cooked farfalle, penne, or rigatoni. A little Parmigiano Reggiano on top and it is perfect. Heat oil in a large saute' pan over medium heat. 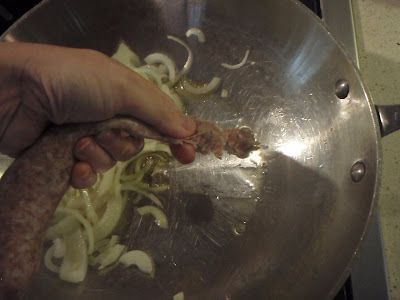 Squeeze the sausage out of the casing so that small bite-size pieces fall right into the hot oil. 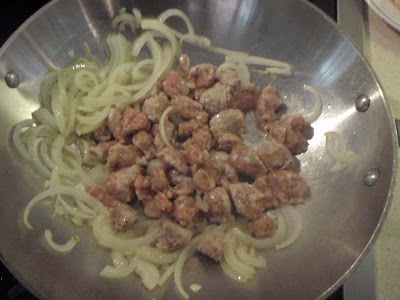 Cook all the sausage pieces, stirring with a large metal spoon to insure all the pieces have cooked through, about 5 minutes. 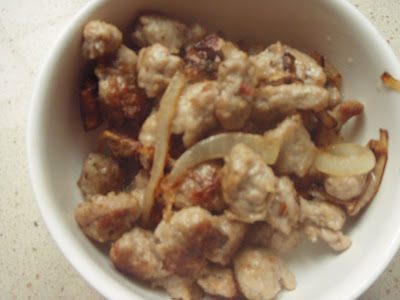 Remove sausage using slotted spoon to a bowl. 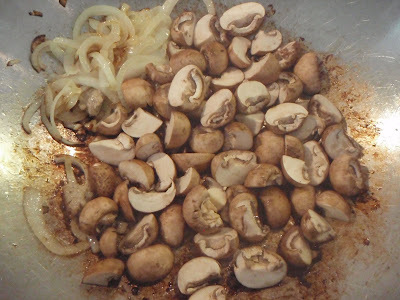 Add onion to pan and saute for about a minute, turn the heat up a little and add the mushrooms --saute for another couple minutes until mushrooms start to soften. 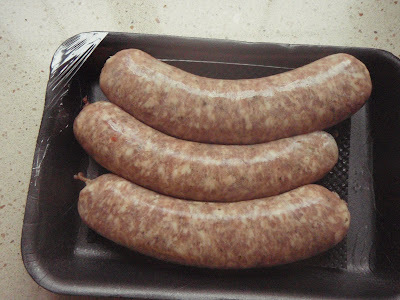 Add the sausage back to the pan. 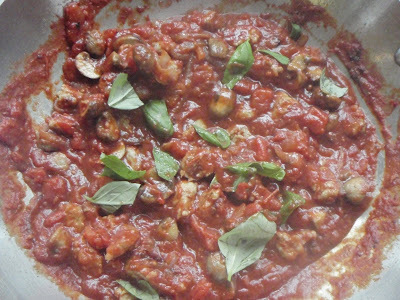 Pour entire can of crushed tomatoes into pan. 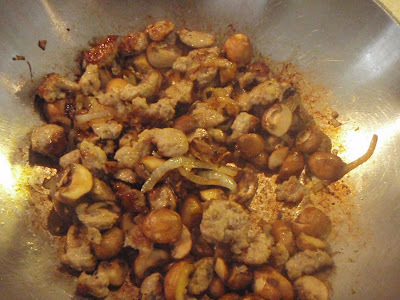 Add brown sugar and stir everything together. Allow to cook for another 5 to 10 minutes. Taste to see if you need any salt or pepper. Add the basil leaves and serve hot. Wow, that looks so yummy. I have to thank you for coming to the rescue on the soda bread! I blogged about you on my blog today. yummy, can't wait to try more.